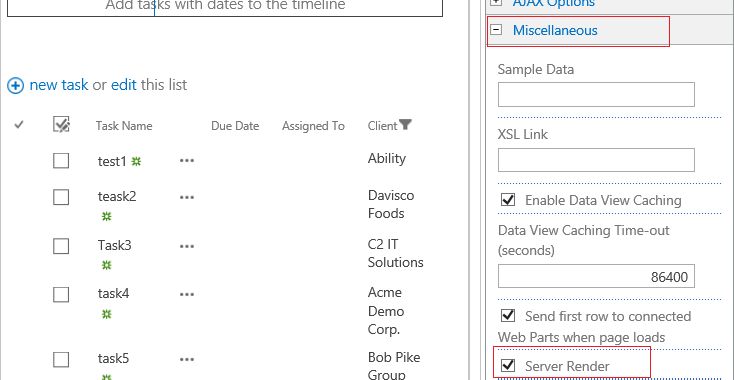 I added a SharePoint List Filter to my web part page which looks for the Client Field in my Message List as well as in Task List. On my message List Web Part and Task List Web Part, I go to "Connections" then select "Get Filter Values From" and match up the appropriate columns. When I select a value to filter, the Filter Icon shows next to the Customer column in my Tasks lists but it is not filtering. Though it is working fine with message list. But, if I click on the Filter Icon then click Clear Filters, it filters as expected. Yes, this works, however you lose the "hierarchy" view in the connected tasks list. This has been confirmed as a "by design" behaviour, we have asked MS to re-consider (still in the process), the chances that MS will change this is low. It has been rejected few times earlier. Thanks for your valuable feed.Please let us know when you have any information from MS about the issue.